When we talk of treating ant bites, it indicates fire ant bites that create a hot mess once they sting your skin. You will know instantly if have have a fire ant bite because it will cause itching, swollen bumps, itching and painful sting and within 8 to 24 hours the bumps will turn into small blisters filled with fluid. Ant bites can also lead to severe allergic reaction that may require immediate medical care. Fire ants range in color from reddish brown to black and grow up to a quarter of an inch in length. What makes these ants so dangerous is their way of attack. They swarm onto your skin and attack in a group. Each ant can sting several times and hold onto the skin till their stingers inject the venom. Therefore, it is recommended to stay away from ant-infested areas and destroy ant hills and mounds around your house. 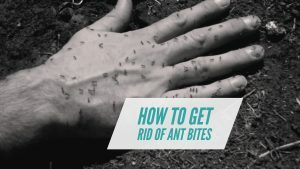 However, if you have been attacked by fire ants, then there are a number of over-the-counter medicines and natural remedies to treat the bites. The first and most important step in getting rid of ant bites is to identify the symptoms of allergic reactions because they can be dangerous. How to identify fire ant bites? Fire ant stings will look like cluster of swollen red spots with blister on the top. The stings will hurt severely and itch. The sting and itch may last up to a week. Swelling and redness around the bites. The red bumps can turn into white pustules and carry a risk of secondary bacterial infection. How to identify allergic reactions caused by ant bites? Severe allergic reaction to ant bites is rare, but it can be a life-threatening condition. What is the emergency treatment for allergic reactions to ant bites? If you notice symptoms of allergic reactions to ant bites in an individual, then contact a doctor or hospital immediately. If you have an epinephrine shot available with you then use it right away, and repeat it after 5 to 15 minutes if the symptoms do not improve. Seek medical care after administering the shots in order to prevent any delayed reaction to the ant bites. Key Takeaway – Fire ants are extremely aggressive and their stings can be fatal because they bite multiple times and inject the venom into the skin. Allergic reactions to ant bites can be life-threatening if you don’t seek immediate medical care. Following a few first aid steps after being attacked by fire ants can significantly decrease the size of the bumps and red the pain and sting associated with the bites. What are the emergency steps to deal with ant bites? Move away from the fire ant mound was fast as possible f you have accidentally stepped on it. Quickly pick the fire ants off from your skin one at a time and drop them on the ground. You can also brush the ants away, but do not try to kill them by slapping. It will agitate them further. Hold your affected arm in an elevated position to minimize swelling. Wash the stings with soap and water to prevent infection. Soothe the stings with cool compress to alleviate itching and reduce swelling. Apply hydrogen peroxide to the stings several times a day before using any other remedy. Key Takeaway – Following these first aid measures can help to subside the swelling blisters with in a few hours. But you must avoid scathing and popping the blisters in order to reduce the risk of infection. There are a number of topical and oral medicines for treating ant bites and most of them are available over-the-counter in drugstores and pharmacies. Large and painful stings any require prescriptions antihistamines and steroids. Severe allergic reaction to ant bites call for immediate medical attention. Oral anti-histamines such as Benadryl reduce itchiness and is especially effective in treating a reaction to sting. Most oral-antihistamines are available over-the-counter at pharmacy or drugstore. The dosing instructions are printed on the bottle. Any 1% hydrocortisone cream available in your local pharmacy can reduce the symptoms of ant bites such as swelling and inflammation and reduce the pain. Apply it over the area of the bites several times in a day. Zinc oxide present in Calamine lotion is a member of the class of drugs which are known as antipruritics. It reduces itching and alleviates the sting associated with ant bites. Calamine lotion is available over-the-counter in drugstores without prescription. This drug is used for treating allergic reactions caused by ant bites. People with a history of being allergic to insect bites usually carry an EpiPen which is administered as a preventive measure. You should still go to the hospital in order to check your heart rate, respiratory rate and blood pressure. Key Takeaway – Less serious cases of ant bites can be cured with over-the-counter antihistamine and corticosteroid medicines and the sting should feel better within a few hours of starting the treatment. Those with allergic reactions should seek prompt medical treatment. There are various remedies that you can use at your home to subside the itch, swelling and pain associated with ant bites. Essential oils, herbs and other household items used in these natural remedies have antiseptic and anti-inflammatory properties that cure the sting and reduce the likelihood of infection. A soothing cold compress using ice cubes is the first thing that comes to mind after being stung by fire ants. A cold compress is the quickest way to prevent swelling. The action of histamines causes swelling and itching. Applying ice cubes to the spot of the bites act as a natural anti-histamine and block itching, swelling and pain. Usage: Take a few ice cubes from the freezer and apply them directly over the ant bites or put a few ice cubes in an ice bag and place it over the ant bites to numb the sting and itching. Most toothpastes contain peppermint, menthol or clove and all these ingredients have a cooling effect on the skin. Applying tooth paste to the ant bites help to numb the sensation of itching and pain and prevents swelling by creating a barrier against histamine action. Usage: Apply a layer of toothpaste over the affected area and let it dry out on your skin and then wash off with water. You can reapply this remedy as many times as you want. The high acidic nature of vinegar kills baiter and prevents secondary infection from ant bites that are caused by scratching. Applying vinegar directly to the ant bites also help to control itching. Usage: Dab a cotton ball in vinegar and apply it generously on the ant bites, let the vinegar soak into the skin for 15 to 20 minutes and then wash off with water. The powerful anti-inflammatory properties of aspirin help to treat severe ant bites and insect bites. It reduces inflammation and subsides swelling, pain and itching. Usage: Take a few aspirin tablets and crush them to form a smooth powder. Add some water to it and mix well to from a paste. Apply this paste on the affected skin and leave it overnight. Wash off with water the next morning. The anti-inflammatory properties of tea tree essential oil soothe inflammation and reduces the swelling and redness of the ant bites. Its potent antiseptic and antibacterial properties also fights secondary infections caused by scratching the bites. Tea tress oil is extremely potent and it is best to to use it in concentrated form. Usage:Take equal parts of tea tree oil and water in a glass bowl, dip a cotton ball into the solution and apply it over the ant bites. Repeat this remedy 2 to 3 times a day. Tannic acid in tea has powerful anti-inflammatory properties that help to soothe inflammation and reduces the itching, pain and burning sensation that you feel around the ant bites. It also subsides the redness and swelling to a great extent. Usage: Boil a cup of water and dip a green tea bag in it. Take it out and let it cool down completely. Now, press the cold moistened tea bag against the ant bites and leave it on for 15 minutes. You can repeat this remedy several times in a day to soothe the ant bites. Not many of us know that salt is potent antiseptic and anti-inflammatory properties that helps to soothe anti bites and reduces the likelihood of secondary infection. Salt also dries out the bumps and pustules more rapidly. Himalayan salt works best for this purpose, but you can also use regular iodized salt. Usage: Take a tablespoon of table salt in a bowl and add some water to it to form a paste. apply this paste evenly over the ant bites. Wait for 10 to 15 minutes and then wash off with water. Rubbing alcohol or any beverage with high alcohol content can be applied on the ant bites in order to suppress the action of histamine and prevent swelling, redness and pain. You can also use isopropyl alcohol. It also helps to clean and disinfect the bites and reduces the chances of secondary infection. Usage: Dab a cotton ball in rubbing alcohol and apply it directly over the ant bites and leave it on to evaporate from your skin. Pure aloe vera gel is one of the most skin-friendly remedies for ant bites that alleviates inflammation, swelling and pain associated with the bites without irritating the skin. Aloe vera gel forms a protective layer over the affected areas and its anti-bacterial and anti-inflammatory properties speed up recovery. Usage: Cut off a leaf from the aloe vera plant and squeeze out its gel. Apply it evenly over the affected areas and let it dry out completely. Reapply this remedy as often as needed. You can also use an aloe vera liquid spray if you don’t have an aloe vera plant at your home. Baking soda is a natural disinfectant that disinfects the ant bites and cuts out the chances of secondary infection. It also reduces inflammation, pain and swelling. Baking soda restores the pH balance of the skin and prevents itching associated with ant bites. Usage: Make the thick paste by mixing 2 tablespoons of baking soda with water. Spread this paste evenly over the affected areas. Let it dry out for 15 to 20 minutes and then wash off with water. Fire ants inject a venom into the skin that comprises of an oily alkaloid and some protein. Applying a mixture of ammonia, bleach and water helps to break down the protein and helps to reduce the sting, pain and swelling caused by ant bites. But this remedy has to be sued within 15 minutes of the bites to make it effective. Usage: Mix half bleach and half ammonia in a bowl and apply it directly over the ant bites, wait for 10 to 15 minutes and then wipe off with a clean cloth and wash the area with water. You can also wipe the bites just with ammonia. Window cleaners such as Windex contain ammonia. Witch hazel is a widely used medicinal plant that helps to reduce swelling, pain and infections caused by ant bites and insect bites. Polyphenols and tannins present in the bark, twigs and leaves of witch hazel cures inflammation. Being a natural astringent, it draws out excess fluid from the pustules and speed up recovery. Usage: Steep some dried witch hazel in a cup of boiling water for 20 minutes. Soak a cotton ball in the tea and apply it on the ant bites. You can also apply any lotion or ointment containing witch hazel extract. Key Takeaway – Those who do not show any allergic reaction to ant bites can opt for home remedies to get rid of the itching, swelling and irritation. The natural ingredients used in the remedies work best when used immediately after experiencing the ant bites. This is the final step in getting rid of ant bites. But its not as easy at it sounds. Fire ants are true survivors that are designed to withstand all types of difficulties. Researchers have found that it takes 2 weeks of temperatures below 10-degree F to kill a colony of fire ants. You cannot drown them either, because they form a nest on the surface of the water and float to a dry location. How to avoid ant bites? Locate the ants and ant colonies around your house and tell you family members and neighbors about it so that they do not step on a fire ant hill unknowingly. Do not disturb the ant mounds in day day. Fire ants are extremely aggressive and breaking an ant mound will enrage the ants who will respond by attacking you. Block of the ant-infested area with ropes if you have young children and pets. Locate the points where the ants enter your home and seal them properly. Spray over-the-counter insecticides to kill the ants that enter your house. Some commercial products may contain toxic chemicals, so make it a point to buy environment-friendly products. Be careful while mowing the lawn or working in the garden. Wear gloves, shoes and socks when you work in the garden. How to get rid of ant hills and mounds? There are a number of pest control methods to treat ant inflation. Select the method that is most suitable for your house and yard. You can also contact professional pest control companies and exterminators who can take care of the problem and eradicate and destroy the colonies. Broadcast fire ant bait – This is the first step of fire ant control. Spreading fire ant bait over the entire area helps to eradicate 80 to 90% of fire ants. You can repeat this process 1 to 2 times a year during the warm months. 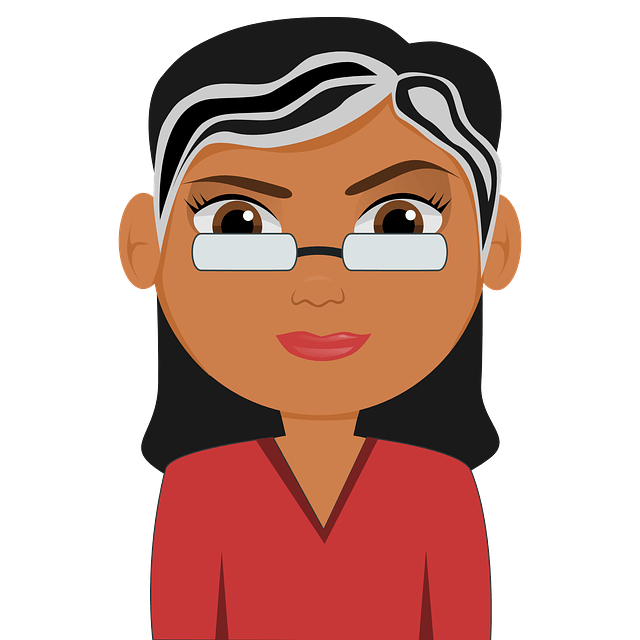 Treating individual mounds – There may be some troublesome mounds that need to be treated individually. You can drench the mound with liquid insecticide to treat the whole mound. Use can also use fire ant bits around each mound. Insecticides – Insecticides aim to kill the queen. Use a rod to create vertical tunnels into the mound and then pour the liquid insecticide into these tunnels so that it reaches the queen. Granular products– Granular products containing Fipronil are effective in eradicating fire ants. Fipronil works by blocking the inhibitory nervous system of the fire ants. Gradual products can be used as a preventive measure as well as a curative method that provides season-long protection against fire ants. It destroys existing fire ant colonies and prevents the formation of new colonies. Key Takeaway – Pesticides and baits are the best way to eradicate fire ant colonies. Unlike regular ant mounds that have one opening, fire ant nests have several entrances. So, make sure to locate and treat all the entrances. Fire ants live in grassy areas such as gardens and yards and being stung by fire ants is very much possible in case of both adults and children. If, stung, make sure to treat the bites immediately because they can get infected quickly. DO NOT MIX BLEACH AND AMONIA. You can use one OR the other for ant bites, but combining bleach and ammonia as remedy 11 advises will create a deadly poisonous gas! Is there a yard treatment for fire ants that is safe to use around dogs, or is there some natural safe remedy? Several “organic” fire ant control methods can be safe to use around your pets. For recent mounds, pouring 2 to 3 gallons of boiling water over the mound is 50 to 60% effective. Insecticide products containing d-limonene, pine oil, pyrethrins (or a combination pyrethrin plus diatomaceous earth or silica dioxide), or spinosad can adequately control individual fire ant mounds. Just remember: When applying any fire ant control product to areas where pets live, read and follow the label instructions for safety and best results.